Landlords have a legal responsibility to maintain a property in a safe condition. BuildingPro can help you meet your legal obligation by inspecting the property and providing a report on the safety and repair requirements of the decks, balconies, verandahs, pergolas, stairs and other external timber structures. Decks and Balconies made of concrete, steel can also be inspected. Do you have a tiled deck? 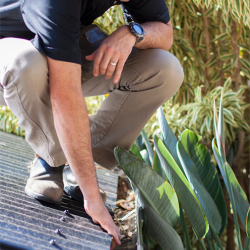 Tiled decks are especially prone to problems with water leaks. A tiled deck should be built strictly in accordance with Australian Standards to be safe and sound over the long term. 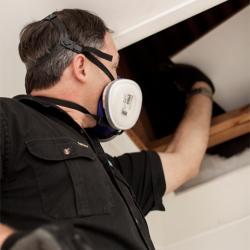 Leak damage can cause structural damage that is often not visible. Let our Experts in Deck Safety check your deck. There is a lot to know about decks. 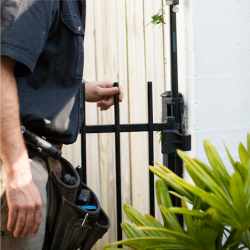 Too much for an owner or Property manager to pick up in a routine inspection. So leave it to us, we are the Experts in Deck Safety Inspections. Our Deck Safety Inspections are performed by experienced, licensed and insured Building Professionals. Our Inspectors come from a range of Building Professional backgrounds including: Architecture, Structural Engineering, Building Certification, Building Inspection or Building. They are all licensed or registered with relevant Authorities in their state of practise and carry current Professional Indemnity and Public Liability insurance. 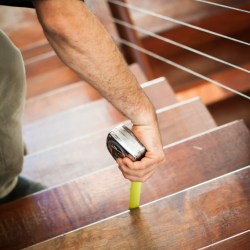 Stairs, steps, balustrades and handrails are checked for height, spacing, soundness, connections, decay, paint cover and construction. Common defects include: decaying sections, missing balusters, bottom rail installed back to front, loose handrails, balustrades allow climbing, connections pulling apart, rusted connections, and peeling paint. Connections are inspected for adequacy. Common defects include: rust, missing bolts, nails used instead of screws or bolts, inadequate bearing, no washers used with bolts, bolts not galvanised, timber posts in contact with the ground, lack of joist hangers. Timbers are inspected for Timber Pest damage. Pests include: Borers, Termites and Fungal Decay (Wet and Dry Rot). Timber framing is inspected. Some common defects include: Excessive notching, funcal decay, inadequate bracing, rust, undersized timbers, lack of bracing. Decking (Floor) is inspected for soundness. Common defects include: Fungal decay, Loose boards, Popped nail heads, Peeling paint, Upside down boards, Cracked tiles, inadequate fall, no step down from house. Other issues such as Surface drainage, Subsidence, access problems, Spalling, and poor workmanship are also common defects. Further Investigation by a Structural Engineer, Building Certifier, Roofer, Water-proofer, Builder may be recommended on some decks to further explore defects or determine a scope of work for necessary rectification work. Council By-laws and local Planning requirements. ie siting and approvals. The inspector will only inspect those areas that have safe and reasonable access as determined by the inspector at the time of inspection. I.e. The inspector may not be able to get under decks that are low to the ground and may not inspect roofs that are too high off the ground or not able to be safely walked upon. To book an inspection, please complete our Online Booking Form. 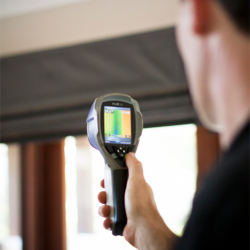 If you would like to discuss your inspection needs further, please give us a call on(07) 3311 2273 or send us an email.